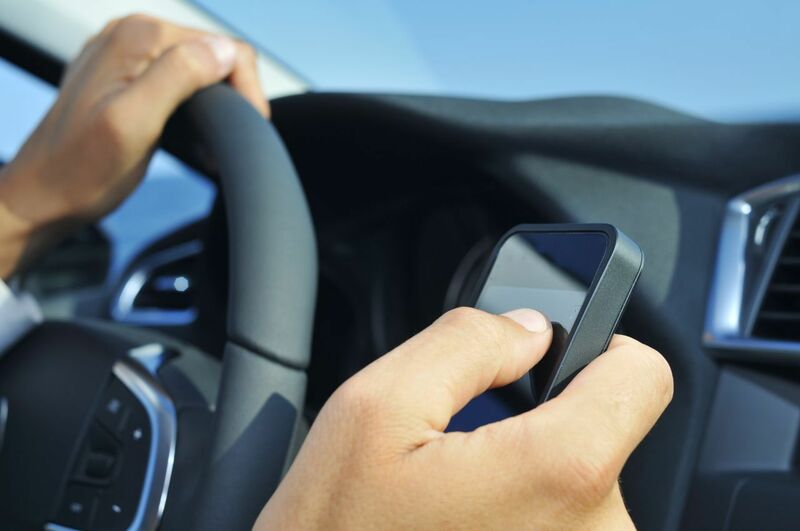 If you've been hit by a distracted driver, you have a right in Texas to recover money to pay for your damages, injuries, pain, suffering, missed wages and more. Here, we cover the basics and discuss how you can win the money you deserve. These are just a few examples of distractions that can cause accidents. What's the Law Against Distracted Drivers in Texas? Distracted drivers are a danger to themselves and others, which is why Texas law protects victims of distracted driving accidents. Though as of 2015 there's no statewide ban on texting and driving, certain cities prohibit it. You can learn more about that here. Similarly, there are no hard laws that prohibit any of the examples mentioned above like eating while driving or making a phone call while driving. However, if you were hurt in a wreck because another driver was doing one of these things, you can still make a claim against them. That's because distracted driving is considered "negligent behavior." It's not illegal, but it's putting others into harm's way and therefore the distracted driver can be held responsible for a wreck that occurs as a result. If you were hit by a distracted driver, you are entitled to make a claim for compensation under Texas law. In order to win a claim against another driver, you're going to have to do more than point fingers. You'll need to prove that they were distracted and that distraction caused your wreck. This is where personal injury claims can get tricky (and why many people choose to hire a lawyer to handle their case for them). An experienced car wreck attorney is often able to prove distraction was involved at the time of the collision. An example of how this might be achieved is when an attorney subpoenas a copy of the relevant cell phone bill to determine whether the other driver was indeed talking or texting at the time of the crash. To help you learn more about proving the other drive was distracted, I've written a detailed article on the topic, which you can find here. If you can get the driver to admit fault right there at the accident scene, it can do your case wonders down the road. When my clients tell me that they suspect the other driver was texting moments before the crash, we have to find a way to prove it. How? We ask the driver to admit they were texting. If that doesn't work - and it often doesn't - the next step is to subpoena the other driver's phone records from their phone company. Phone records dig up all the dirt. Specifically, they show what time calls were placed and texts were sent, which is then used to prove that the driver was indeed distracted at the time of the accident. Unfortunately, phone records aren't always one hundred percent helpful. If a driver's reading a text, that doesn't show up in a phone record. If they're drafting a new text or starting to dial a phone number, those actions don't show up either. In those instances, we can't prove that their phones were a cause of distraction and we can't use that argument to our advantage. So to answer our original question, what should you do if you suspect that you were hit by a distracted driver? Get them to confess right then and there that they were on their phone before they have time to think a lie through. Then, consult your personal injury attorney. An attorney can help you navigate the tricky system of insurance and proving fault in court, and they'll help you win the compensation you deserve. If you were a passenger in a car driven by a distracted driver and were injured in a crash, you still have a right to make a claim - even if the person who was driving was a friend or a relative. I handle claims like that all the time. A lot of people are weary about making a claim against someone they know, and if the claim is small (under $500) then people often find a way to work it out without filing anything through insurance. However, if you've been badly hurt in an accident and you've got mounting medical bills, then you should absolutely make a claim against the driver. This is why they have insurance in the first place! To ensure that others like you aren't stuck with high medical bills and no way to pay for them. If you've been hurt in a car wreck and you believe the driver who caused the wreck was distracted, time is of the essence. If you plan on hiring a lawyer, it's important that you do so soon so that they can begin gathering evidence (before it "washes" away). Not sure if hiring a lawyer is right for you? I've written a helpful article on the topic with a few simple questions that will help you decide if your case warrants a lawyer's expertise. You can find that article here. Here at the Anderson Law Firm, we offer all injury victims a free, no obligation consultation where we will discuss your unique situation, assess your claim, and let you know what your legal options are – including any important deadlines that you need to be aware of. However, if you feel you are not yet ready to speak with an attorney, you can still request a complimentary copy of lawyer Mark Anderson’s book 15 Mistakes That Will Wreck Your Texas Accident Case. 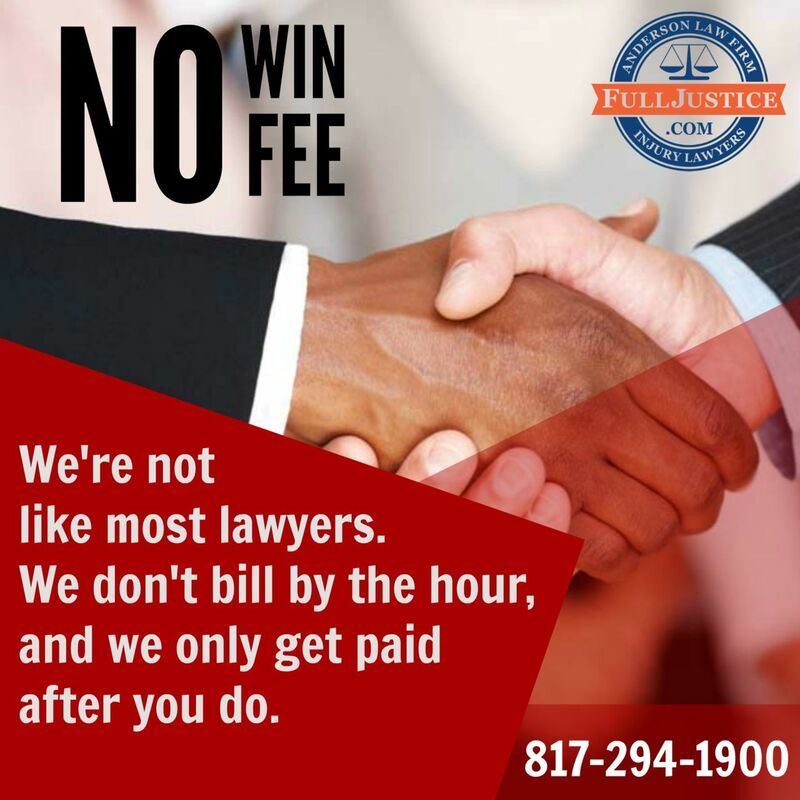 Call us today at 817-294-1900. Do I Have a Valid Personal Injury/Accident Claim?